The lastest posthumous publication from author Roberto Bolaño is a profoundly disturbing novel. Not because the novel is full of back-to-back gruesome descriptions of serial murder (as in Bolaño’s most celebrated offering, 2666) but because there is something intrinsically unsettling about the narrative, told from the point of view of a young 25 year old German tourist, Udo Berger, who appears to descend into some form of intellectually advanced emotional breakdown as the book goes on: From a lucid beginning, Udo, as narrator, spends more and more time preoccupied by the realms of his nightmares, while in the real world, his descriptions of the places and people around him become gradually more sinister and surreal. The story starts relatively normally. Udo Berger, an aspiring writer and part-time gamer from Stuttgart, and his girlfriend Ingeborg, are on holiday in a typical tourist-pot resort on Spain’s Costa Brava. It isn’t clear when the book is set, but a reference to a split-Germany and the reliance on landline telephone communication (rather than mobiles or email) suggests that the story is probably 1980s at the latest. Udo Berger is a war-games champion back in Germany, and consequently spends much of his time immersed in the slightly niche world of war gaming, both playing, and writing related articles which he publishes around the world. 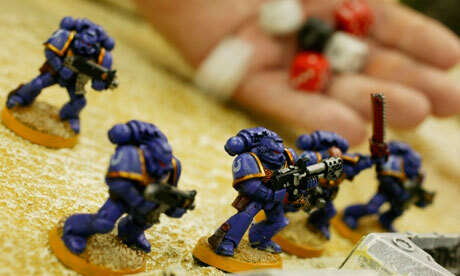 The game with which he is primarily preoccupied, and the one which gives the name to the novel, is Third Reich. 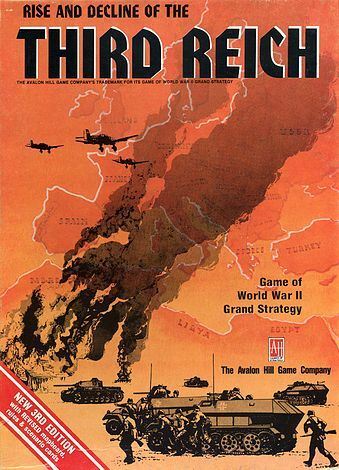 The game, which is a real game released in 1974 by gamers Avalon Hill under the full title, Rise and Decline of the Third Reich, is a grand strategy wargame covering the European theatre of World War II in Europe. It’s a long running game (not your average Monopoly) which requires the players to take on the roles of the various major national powers at play in the war. The players then simulate the entire war effort from 1939 until it’s end, but with the opportunity to re-strategise the course of history and investigate different courses of military manoeuvre which may not have been undertaken in reality (for example a German invasion of Spain). It is against the rather fractious setting of war that the story of a holiday in peace-time Spain plays out. Udo spends much of his time cooped up inside his hotel room strategising war, while his girlfriend attempts to enjoy normal holiday past times. It is on one such occasion that she meets another holidaying couple, Charly and Hanna, and a group of shady locals who introduce both Ingeborg and Udo to the darker side of town life beyond the tourist sheen. The new-found friendship between the couples does not end well, when Charly, after various tumultuous encounters, disappears without a trace. As the holiday comes to an end and Ingeborg decides to return to Germany, Udo is intent on remaining behind in Spain to make sense of Charly’s disappearance. It is at this point that the heart of the novel begins to play out, and various factors combine to affect a mood of disintegration and melancholy in the mind and surroundings of Udo. As the hotel gradually empties, the once bustling resort takes on a ghostly feel. Udo describes noises in the corridor and mirrors without reflection as his mind becomes more and more troubled with nightmares. In the meantime he strikes up a gaming relationship with El Quemado – a severely disfigured and enigmatic local who runs a boat pedalling business by day, and sleeps in a fortress built from his boats at night. 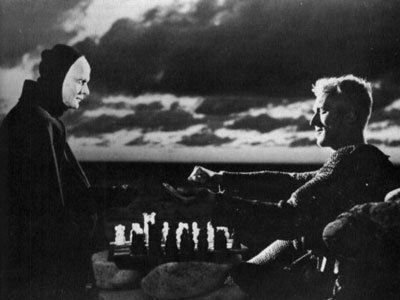 Once introduced to the rules of Third Reich, El Quemado becomes progressively more zealous in his role of allied strategist, until it becomes clear that his enthusiasm to play against a German is laced with more sinister undertones. Despite becoming aware of this risk, and long after the mystery of Charly’s disappearance is clear up, Udo Berger feels compelled to remain in Spain and play on, despite the seriousness of the potential consequences once the game of war is ended. This is a story which is unsettling perhaps because of the many ironies it entails. Udo Berger is on holiday in peace-time Spain, but remains cooped up inside reliving the history which dogs his nation. He is adamant that he is no Nazi, yet he is obsessive in wanting to re-stage the second world war in order to improve its outcome. Meanwhile the core of the story plays out when the tourist season is over, when the hotel is tired, dilapidated and empty, ready to hibernate for the winter, when it’s owner is dying and its staff are rebelling, and when, instead of sun, the sandy beach is pitted with the patter of rainfall. The story is also unsettling because our access to it is through Udo Berger, a man who makes for an unreliable narrator, forever wavering between nightmare and reality, historical strategy and contemporary indecision. Yet this is what makes the book so edgy, electric and captivating. 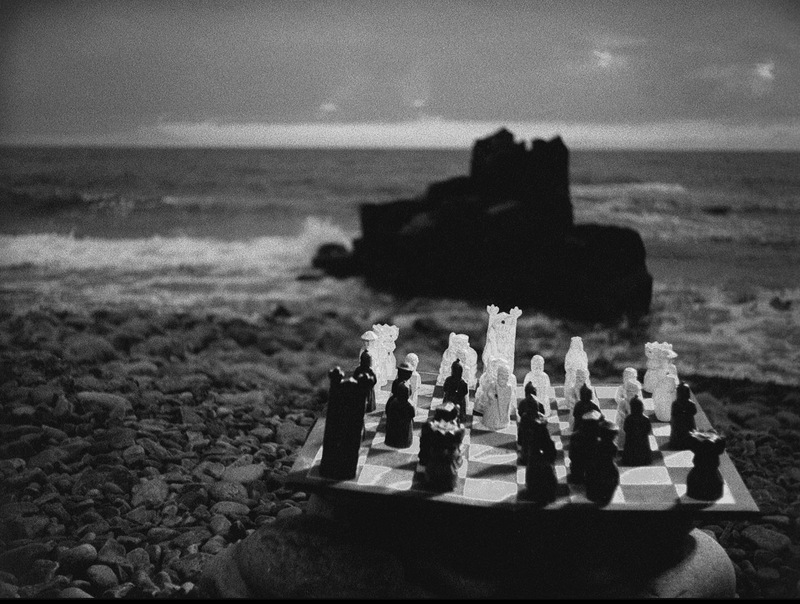 This book reminds me of Ingmar Bergman’s 1957 cinematic masterpiece, The Seventh Seal, particularly the scene when the protagonist, Antonio Block, plays a game of chess on the beach against Death. Enigmatic, eery, sinister yet compelling. It also reminds me of the surreal and slightly unsettling works of Rene Magritte – on the surface, he presents recognisable everyday situations, yet at their core, they unbalance and disconcert. Bolaño’s newly published novel is another such gothially-surreal success, which presents a further opportunity to discover the comprehensive and multifaceted oeuvre of Roberto Bolaño, much of which remained unpublished on his death in 2003. I urge anyone with a taste for the unusual to read this novel.